We’re back with part 11 of Overheard in Product—a series where we round up all of the tantalizing conversations from product folks that you may have missed on the web last week. This week, we talk about waterfall vs. scrum, erroneous growth metrics, obsessing over numbers, decision-making heuristics, and #16161d. 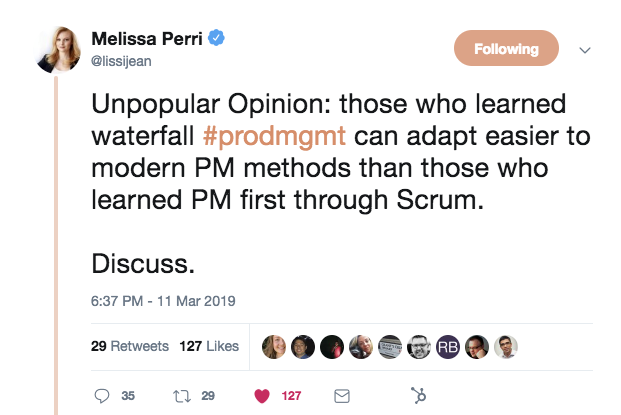 Following up on last week’s “Unpopular opinion: tech edition,” CEO of Produx Labs Melissa Perri started a thread on waterfall vs. scrum. Folks seemed to agree with the idea that waterfall is a forcing function for strategic thinking, diligence of vision, and requesting enough resources for a project. Food for thought: No matter what PM method you’re using, are you taking enough time at the beginning of a project to make a business case for it? 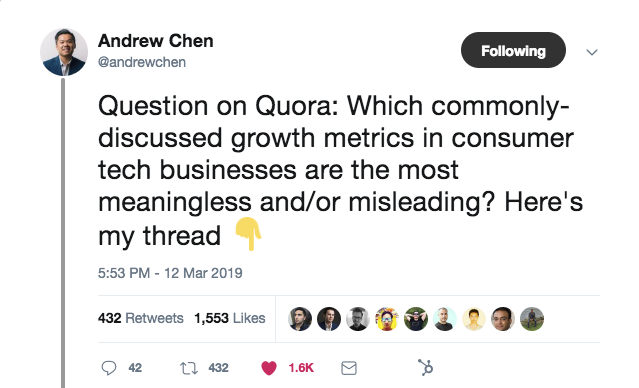 Andrew Chen, General Partner at a16z, gave us a list of bunk growth metrics to be wary of. Crowd favorites that he included were LTV, CAC that’s actually blended CAC, and registered users. Food for thought: What growth metrics are you measuring? And do you know how they affect one another? 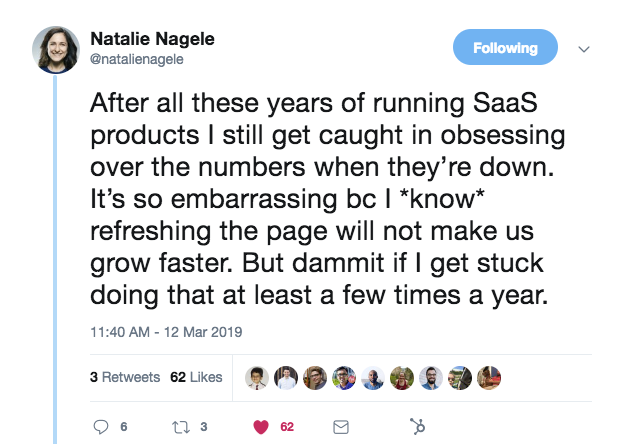 Natalie Nagele, founder of Wildbit, admitted to something we’re all guilty of doing. Food for thought: Instead of hitting refresh on that one page yet again, get inspired with these 10 user and customer engagement strategies. 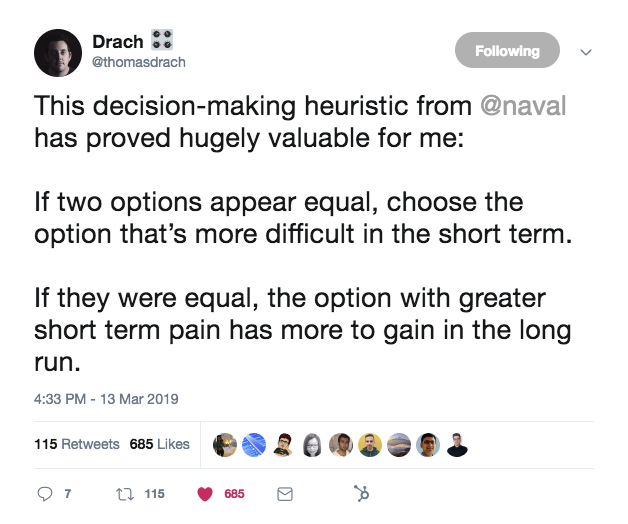 Thomas Drach, Product Designer at Mixpanel, shared a useful heuristic for making difficult decisions. Heuristics can be super valuable—both as a product decision maker and as a creator of a workflow for your users. Food for thought: What decision-making heuristics do you use regularly—consciously or unconsciously? Austin Byrd, Experience Design at Microsoft, shone a light on color and vision. 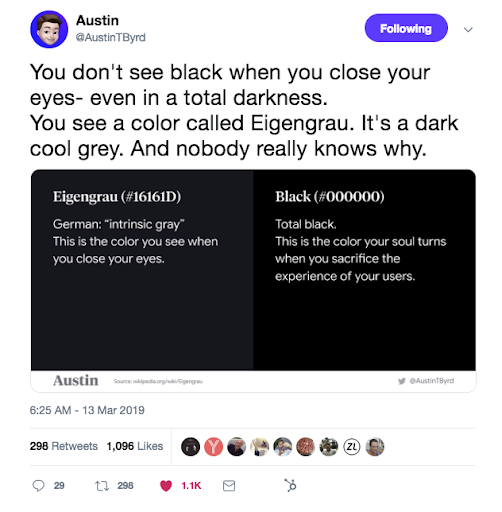 With the rise of dark mode, should designers use eigengrau instead of total black?